Pulsable sources utilizing Tungsten and Nichrome (NiCr). Steady state sources utilizing Kanthal and Tungsten filaments. 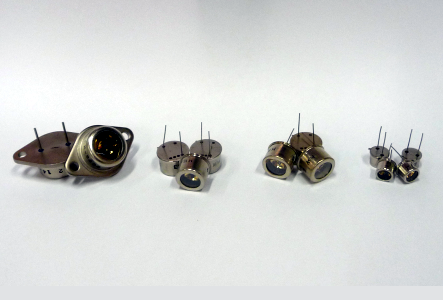 Industry standard TO-3, TO-5 and TO-8 sized packages with gold plated parabolic reflectors. 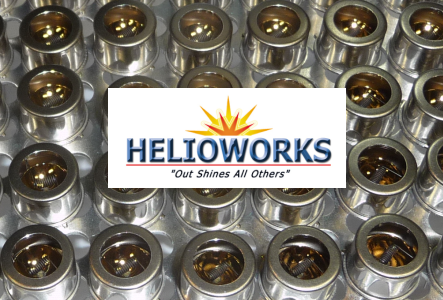 HelioWorks Inc. specializes in manufacturing powerful infrared lamps. Our products include PULSABLE sources utilizing tungsten and Nichrome (NiCr); in addition, STEADY STATE emitters utilize Kanthal, Nicr, and tungsten filaments. All lamps have a long life and employ industry standard TO-3, TO-5, and TO-8 packages with gold plated parabolic reflectors to enhance output in the near infrared. These products utilize a variety of windows such as Sapphire, Calcium Fluoride (CaF2), Zinc Selenide (ZnSe), or no window depending on the application. Power ranges from 2.4 Watts to 10.5 Watts. Our products are primarily for the OEM market and are put into instruments such as: gas analyzers, breathalyzers, environmental monitors, thermal beacons, and many other applications. 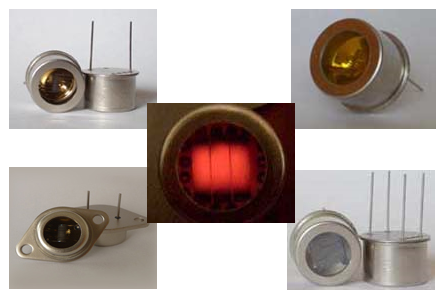 Infrared light sources with Tungsten, Nichrome, and Kanthal filaments. Additional products are being developed. We welcome your requests for specialized requirements to meet your needs. EP Series - Tungsten filament is suitable for higher temperatures and shorter wavelengths. EF Series - Nichrome (NiCr) filament is suitable for lower temeratures and wavelengths in the 2-12 micron range.